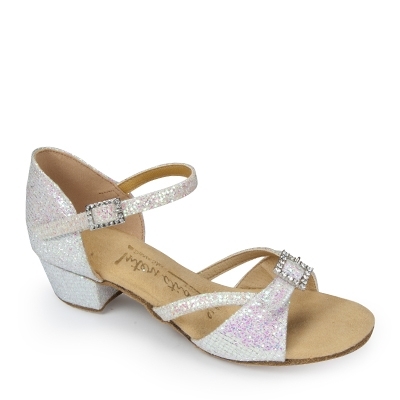 The &apos;Girls Natasha&apos; in the glittering White Disco is a really eye-catching style, for any youngster to learn how to dance in style. If you would like this style in another material, heel or width, then please scroll to the description below to find out how we can make bespoke styles just for you. The heel pictured is the Cuban heel.